Your product or service is the best on the market. You’ve got a large email database. You use a killer design and you launch your email campaign. The next morning you eagerly log into your email marketing tool only to discover that no one has clicked, or worse yet, opened the email! Sigh. When it comes to email: One size does NOT fit all. Just blasting emails to your entire database won’t work. Instead, you must segment your email marketing lists and tailor messaging to connect with specific prospects and customers. Established Customers vs. Current Prospects: An established customer should receive different messaging and offers than a new prospect that may be unfamiliar with your products and services. Location: Establishing a location is an easy way to segment your audience and tailor the timing and elements of your emails. An invitation to an event in Arizona is probably going to be of more interest to recipients in the southwest rather than those in Maine or Mumbai. Industry: Professionals working in Finance typically have different interests than those in Transportation & Logistics or Healthcare. 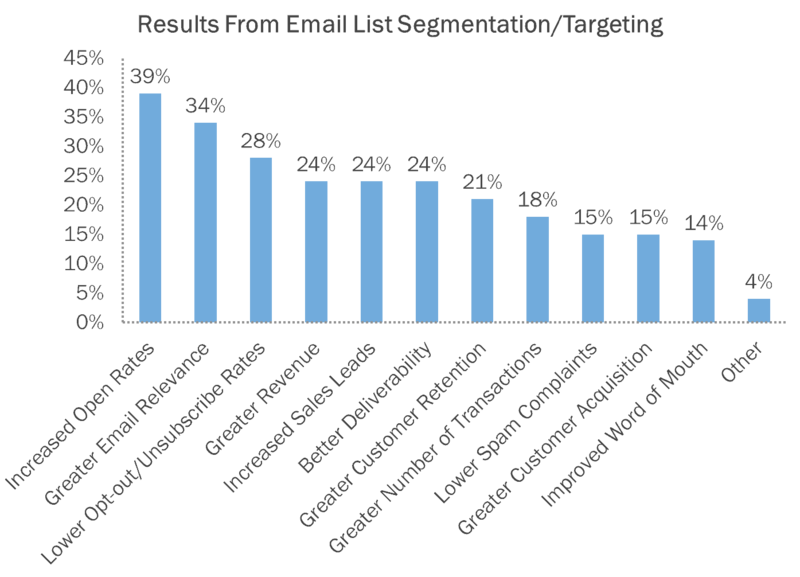 Segmenting your lists by industry then ensuring that your content is industry-specific will improve the likelihood that your message will hit the mark. Professional Role or Title: Professional profiling extends to individual roles and titles. 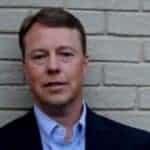 Use them to refine messages and connect with your target, be it the C-level Executive, Director of Marketing or Entry-Level Sales Representative. Size of Organization: The needs of Enterprise businesses are much different than those of SMBs and your emails should reflect that fact. Previous Behavioral Patterns: Leveraging behavioral data such as opens vs. clicks, visits to a webpage, attending an event, completing a form, contacting a sales rep to express interest, etc. 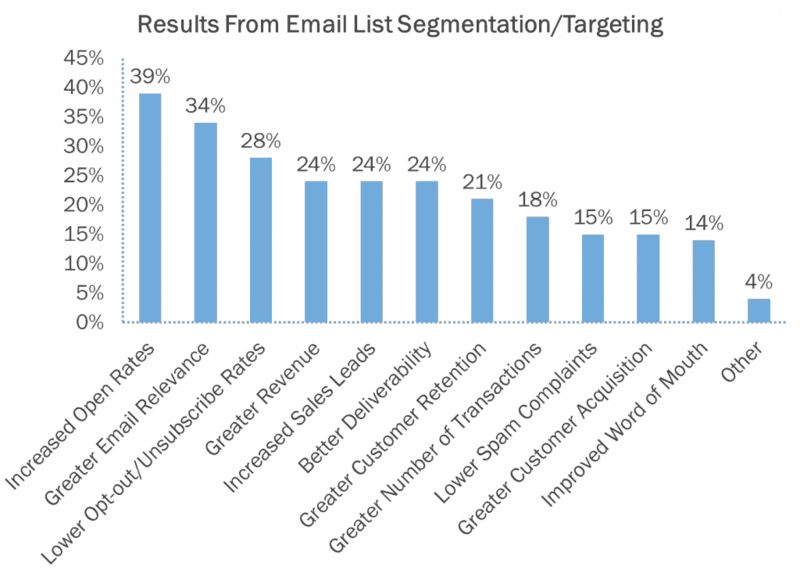 can help you determine where buyers are in the sales process to help you target emails. Don’t forget analytics! Use them to capture data then segment email lists and tailor your messaging to specific audiences to demonstrate you know and care about the interests of your recipients. The simple fact is: The more targeted and relevant your campaign, the better your chances are at garnering a response, making a sale and enhancing customer loyalty. Do you segment your lists? If so, how and what type of results have you seen? We look forward to hearing more from you experiences.